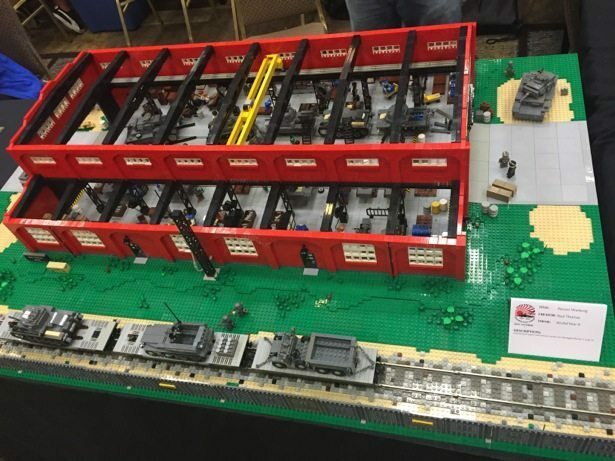 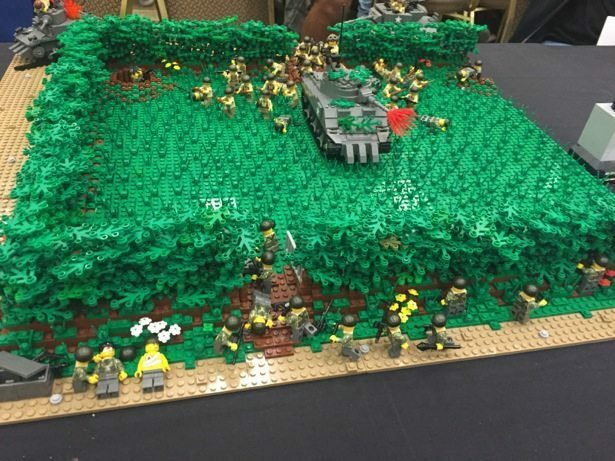 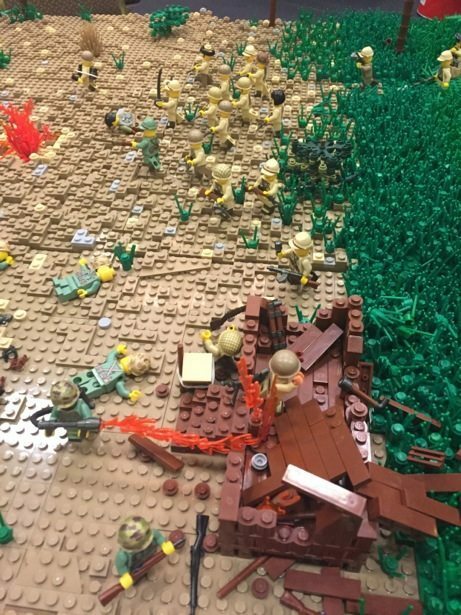 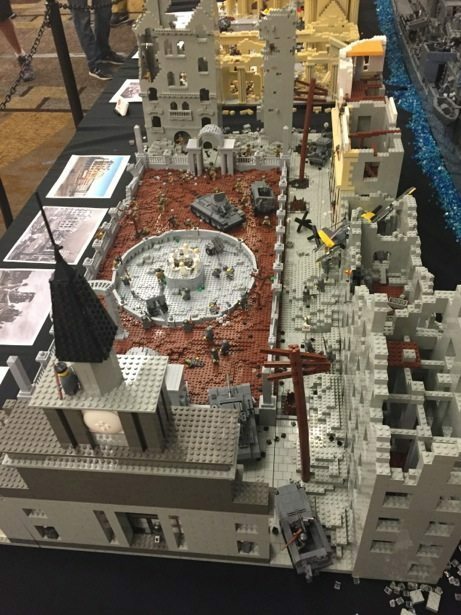 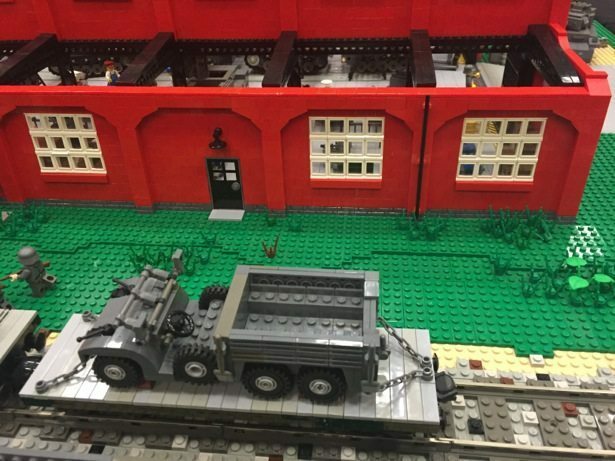 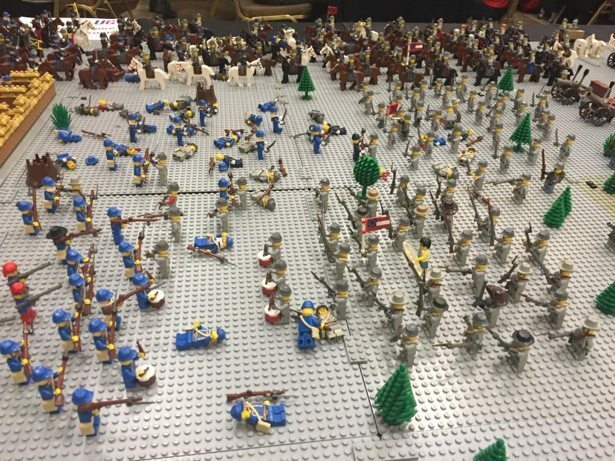 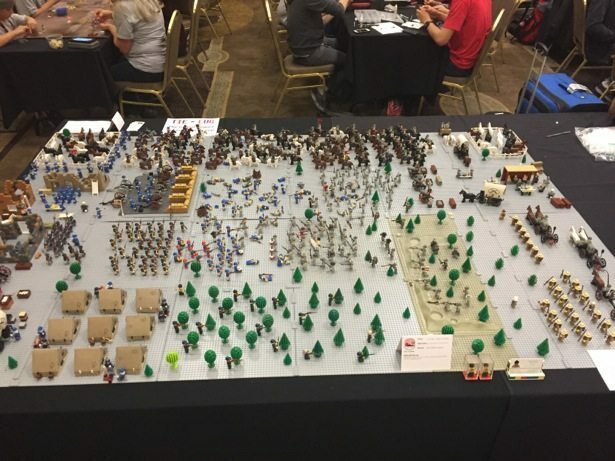 Brickmania is a weekend long event that is held in different locations across the USA a few times a year, and brings together lego military enthusiasts. 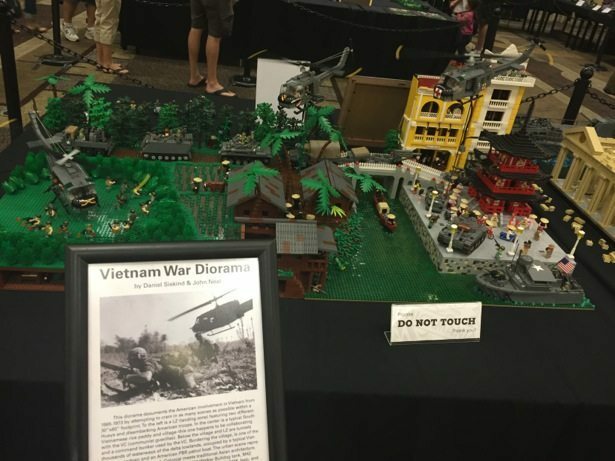 It is definitely an eclectic group of very passionate people. 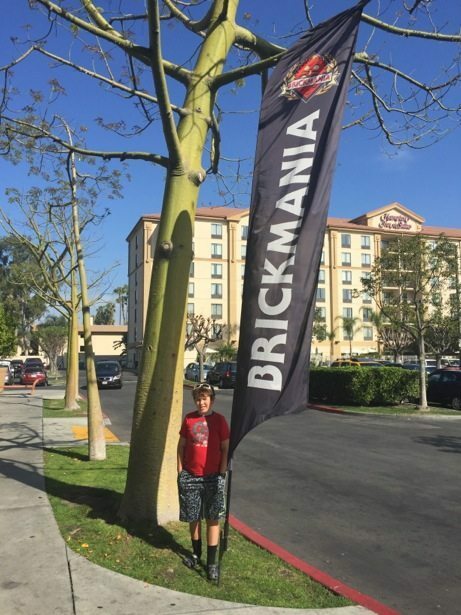 Hunter was thrilled to discover that one of the sites this year was Anaheim, which is only an hour away from Oceanside, our southern California base. 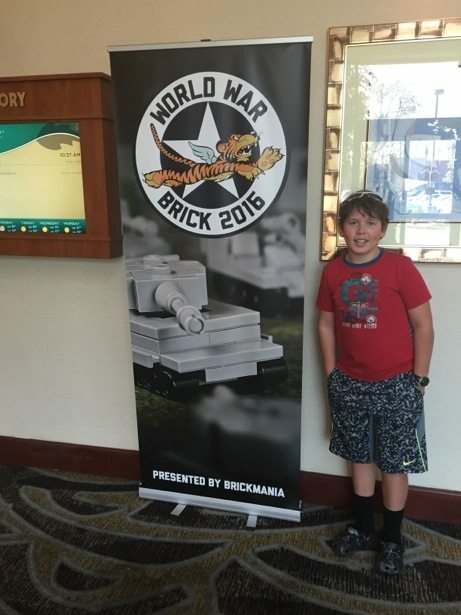 Tim classified this as a “school field trip” and conveniently opted out so Hunter and I hit the road and spent the day together exploring all things military lego. 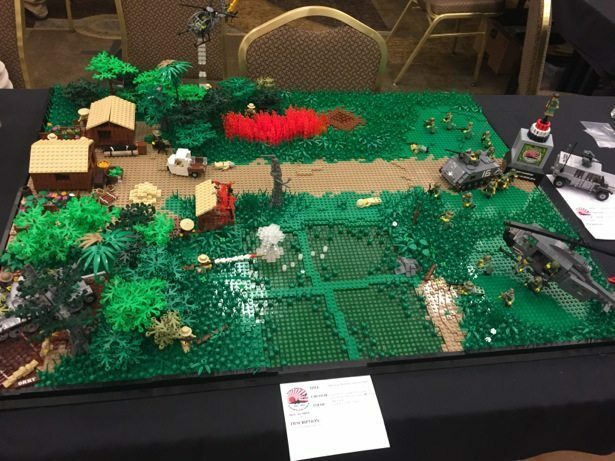 If we had been really super serious about it we would have purchased a weekend pass which allowed you to participate in various group “builds” and challenges. 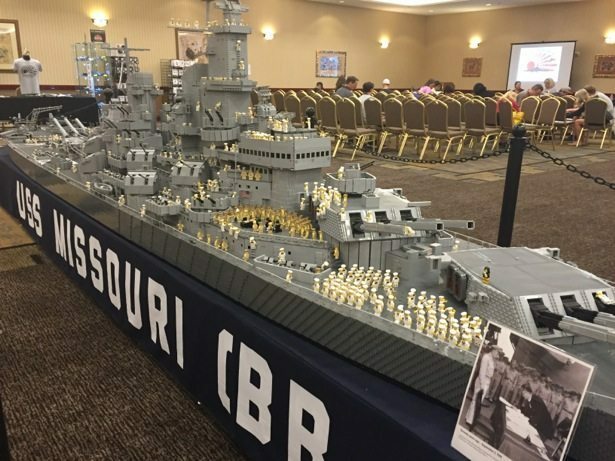 There were a number of very impressive models – the center piece being a replica of the USS Missouri that a college professor started with his class to help them learn about the ship building process. 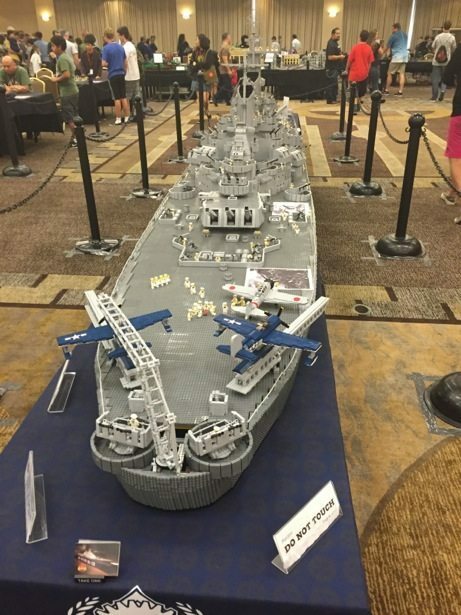 The level of intricacy and detail orientation definitely reflects the amount of time invested. 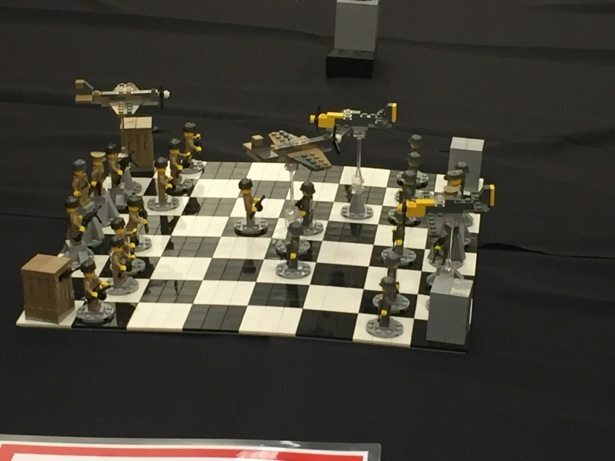 One of the many group events was a chess tournament using lego war characters. 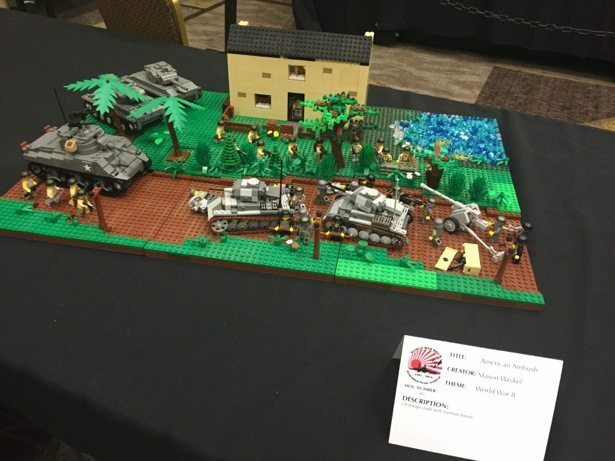 The builders (ranging from age 6 to70) compete for a number of awards that recognize the level of complexity and creativity. 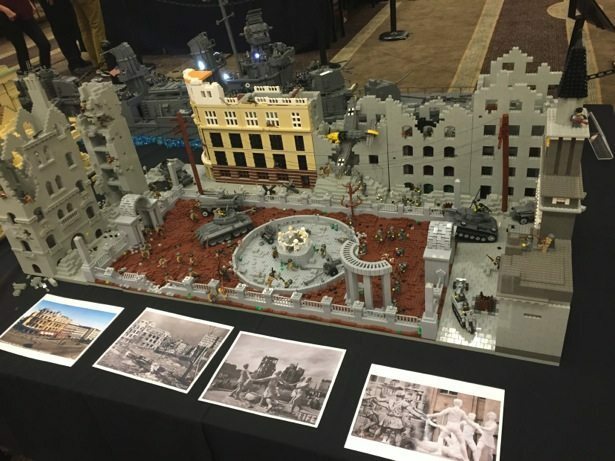 Some are replicas of actual battle scenes or buildings while others are builder interpretations of a battle or location. 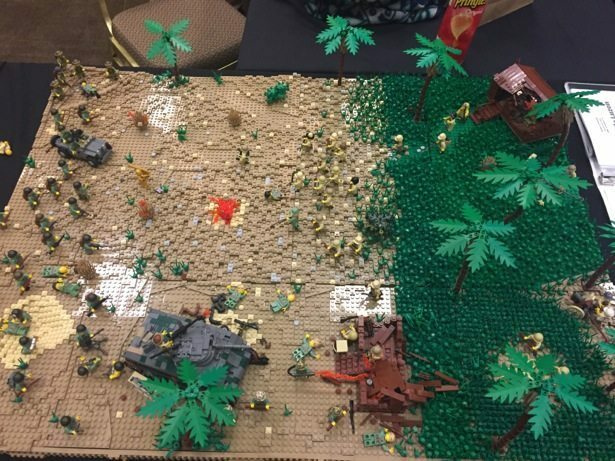 Lots of non-standard pieces and creative interpretations happening! 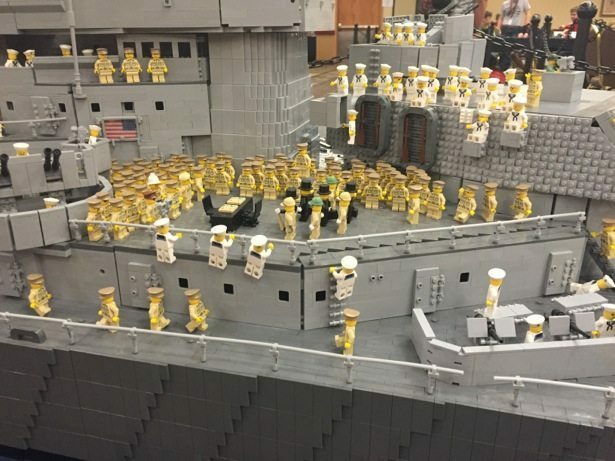 The other big appeal of attending was the ability to purchase military lego mini figures that are really expensive online due to shipping costs. 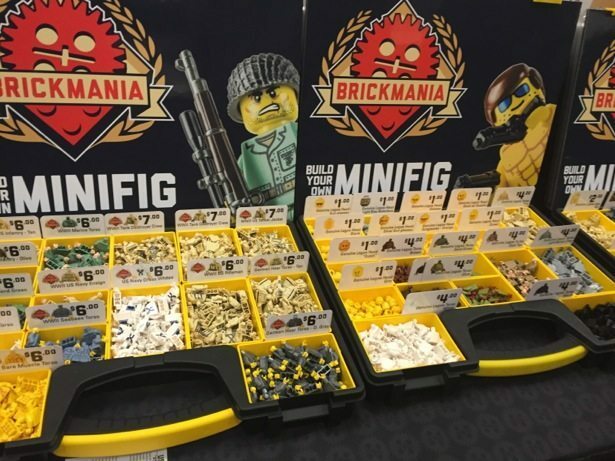 These are all high quality custom made pieces but have lower volume production runs than official lego pieces so have about a 30-40% price premium. 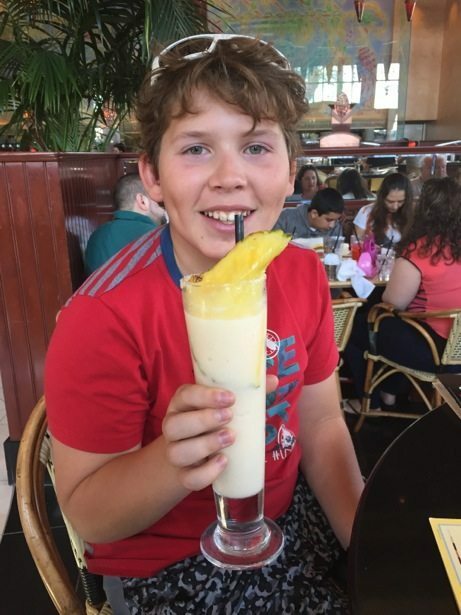 We rounded out our adventure with a mom/kid lunch at the Cheesecake Factory, complete with fancy drinks and all. 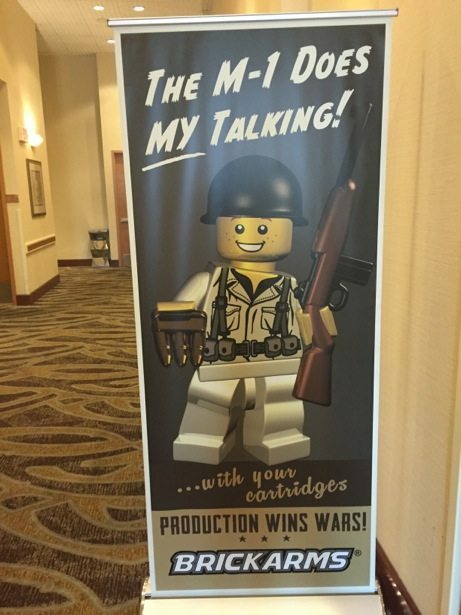 It’s always great to spend the day together!